Hello readers! How's long weekend going on? Mine was awesome because I spent my long weekend with my family back in Taiping. 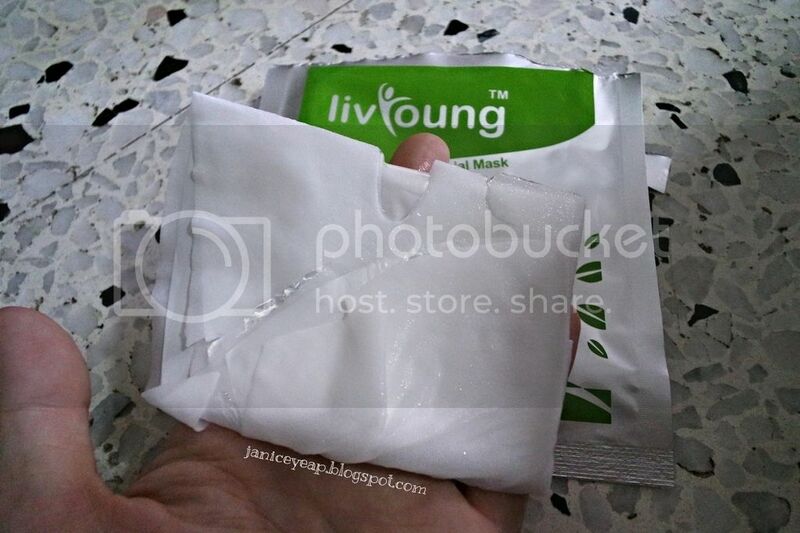 (: Today I would like to review Intense Brightening Facial Mask with Apple Stem Cells from LivYoung courtesy of HiShop Malaysia. 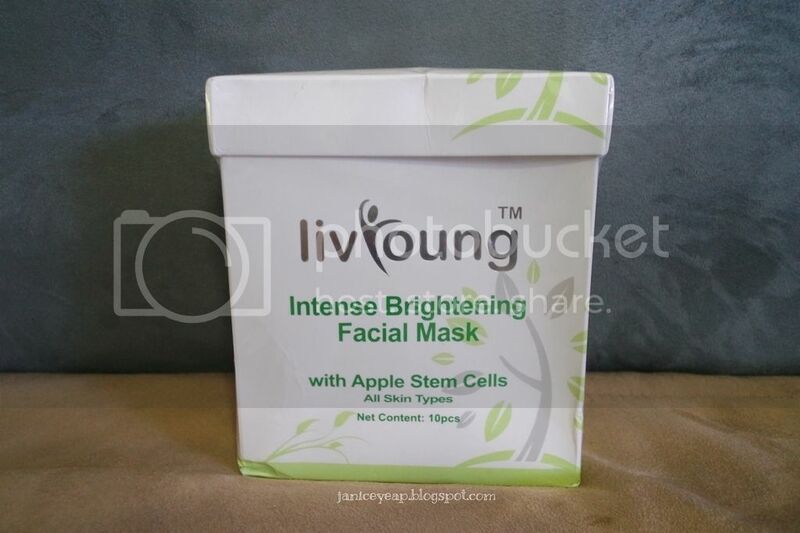 This anti-aging, brightening and moisturising facial mask contains apple stem cells, hyaluronic acid (HA), Tremelia Fuciformis Sporocarp extract, cucumber fruit extract and Scutellaria Baicalensis Root Extract that protect and rejuvenate the skin stem cells and leaves skin bright, moist, elastic and smooth. Each box comes with 10 pieces of mask and this mask is suitable for all skin types. When I opened the pack of mask, I noticed that the essence was slightly thick and concentrated and did not spill on the floor when I remove the facial mask out. The texture of the mask is soft and and fits perfectly on my round face. Remember to remove the white film from the mask and gently spread the LivYoung Intense Brightening Facial Mask onto your face. Leave the mask on for 10 - 15 minutes. After 15 minutes, remember to peel it off and massage any remaining essence into your skin. I could see the brightening effect on my skin instantly. If I am to use this mask continuously for 10 days, I am pretty sure that I can achieve smoother and brighter skin with this LivYoung Intense Brightening Facial Mask! 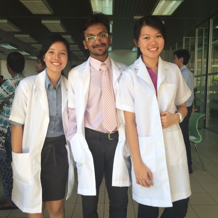 Notice the difference of my skin in the photo? Yes! 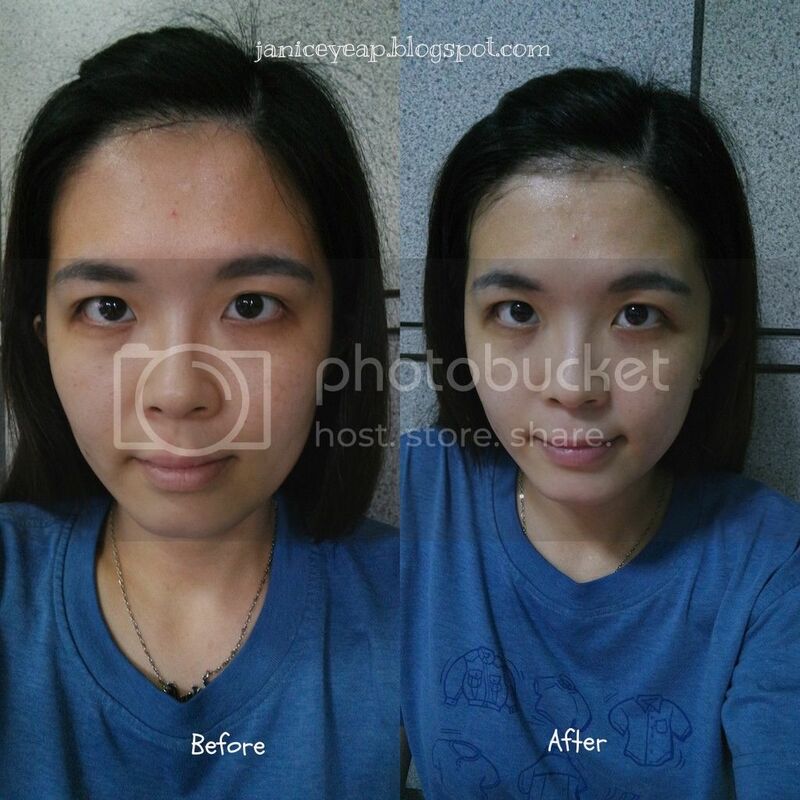 It magically transformed my skin into 'Snow White' which I am quite impressed except for the eye area. Since the mask does not cover the eyes area, so I am pretty sure that the dark eye circles will not be diminished. What I did from the remaining essence on my skin was to put on some of it and pat it around my eyes area to avoid wastage. Eyes area are one of the hardest area to treat and I am sure that it requires longer time to treat it. So it would be best if you apply special eye cream on the eyes area to reduce the dark eye circles other than applying this essence on them.